New staff members and new equipment are highlights for the fall season at the Boone County Fitness Center open house next Monday, Sept. 28, from 5 to 7 p.m.
An active schedule is planned this fall at the fitness center, located at 527 South Fifth Street. Several “mini-classes” will be available for those who would like to find out more about fall classes at the center. 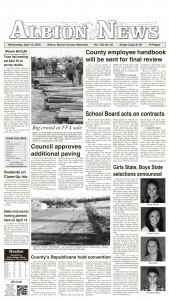 Anji Kendrick returned in August as facility manager after a two-year absence. Melinda Johnson is assistant manager. 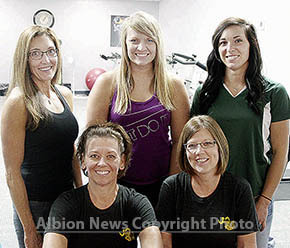 Personal trainers are Trish Daniels, Erin Soderstrum and Michelle (Bloom) Casper. Details in the Sept. 23 Albion News Print and E-Editions.